Learn how to sprout lentils to make them easier to digest in this easy step-by-step sprouting guide. 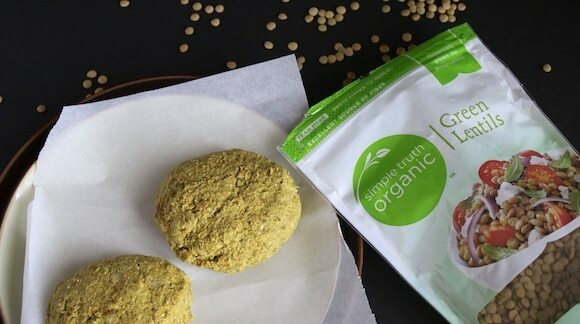 This post also includes a recipe for making baked Sprouted Lentil Burgers for a healthy, vegan and plant-based meal! Ohhhh, legumes are back in my life in a big way which checks off one of my New Year’s Resolutions, woo-hoo! I took a break from beans awhile back while I worked on my gut health and got familiar with the paleo approach, which has now further evolved into something else. I’ve flirted with eating legumes again, especially when I re-discovered pasta made with lentils (you must try if you haven’t already; this is the brand I like), and they seem to be working out for me which makes me very happy! There’s no doubt that for those of us who can tolerate legumes, they are part of a healthy diet. They are rich in vitamins and minerals and so a nutrient-dense food, but they are also really high in fiber which aids in weight management. I’ve been reading Dr. Greger’s new book How Not to Die for a future review + giveaway (gimme some time, it’s 400+ pages before the references, ha), and I noted his comment that sprouting lentils doubles their antioxidant levels. Well, that was enough to convince me to try it (again) at home. You can find packaged dried sprouted lentils and I have bought them frequently in the past, but making them at home is really easy and inexpensive. Trust me! 3. Besides just the 30-second task of straining the water out and re-filling it 2-3x a day, the process of sprouting is the easiest “gardening” I’ve ever done. Now comes the question of what to do with these beauties? That’s up to you! 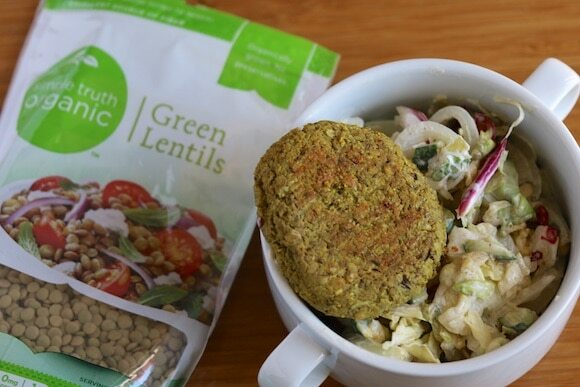 You can just consume sprouted lentils like any other bean, like on a salad, but I decided to make burgers with mine. 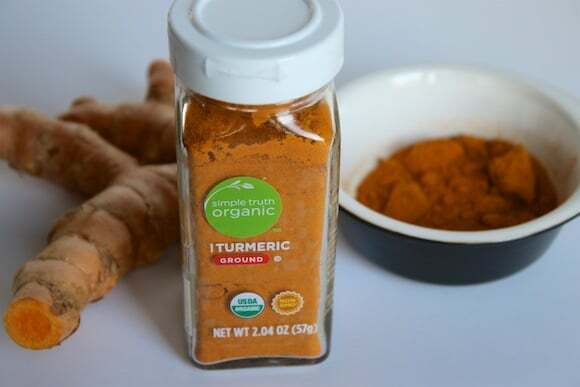 Be sure to add some black pepper to the mix to enhance turmeric’s effectiveness, too. 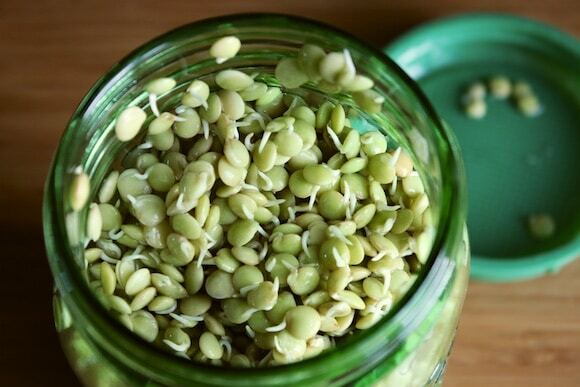 Sprouted legumes make them easier to digest. 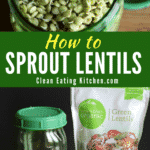 You can even purchase sprouted lentils, although doing it at home is easy and budget-friendly. These burgers are 100% plant-based with lots of flavor from the spices and texture from the other ingredients. 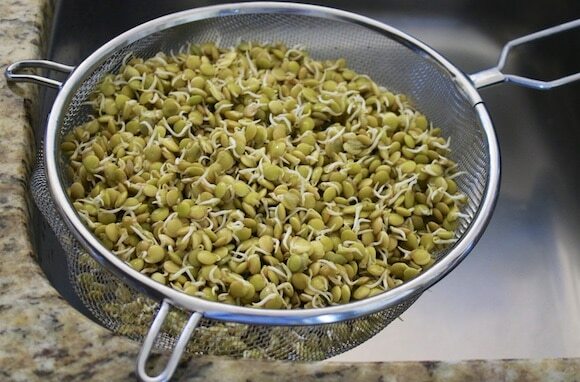 To sprout: Rinse lentils in a strainer and pick through for any debris like small pebbles. 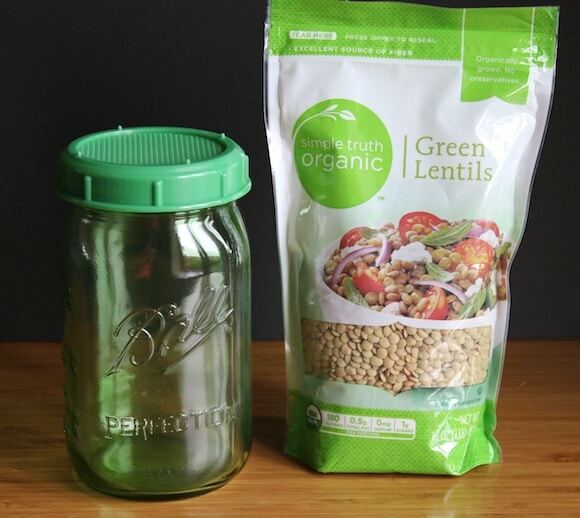 Place lentils in a bowl or sprouting jar and cover with filtered water. Cover loosely and let sit for 8-12 hours. Add more water if necessary to keep the lentils completely submerged. After soaking, rinse the lentils with fresh water, discarding the soaking water. 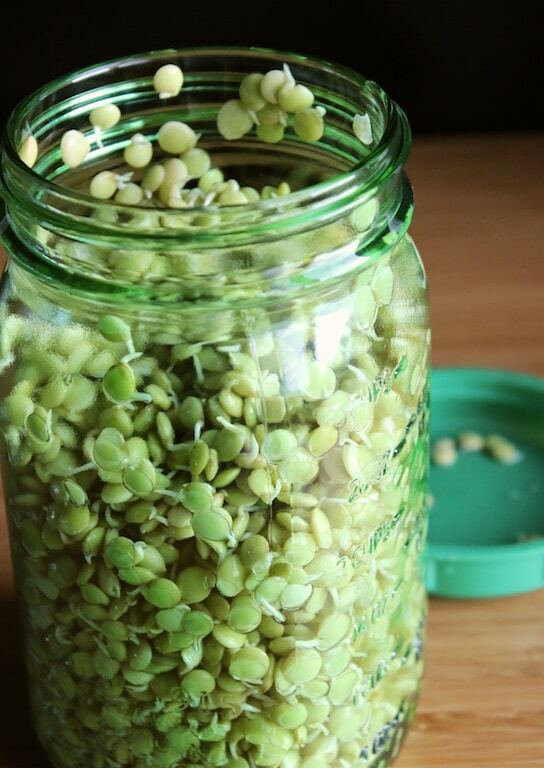 Sprout the lentils in the sprouting jar over the course of 1-2 days, rinsing them every 8-12 hours. They are ready when the sprouts are about ¼” long. Once you are ready to make the burgers, it’s also a nice step to cook and cool the sprouted lentils to further enhance their digestibility. They can be cooked by placing them in a medium saucepan and covering with filtered water. Bring to a boil and lower the heat to simmer. Cook the lentils for 20-25 minutes and drain. Transfer lentils to a glass bowl, cover, and refrigerate until cool. To make the burgers, preheat your oven to 350°F. Spread a sheet of parchment paper over a baking sheet and spray lightly with non-stick cooking spray for easy clean-up. Place the cooked and cooled lentils into the base of a food processor. 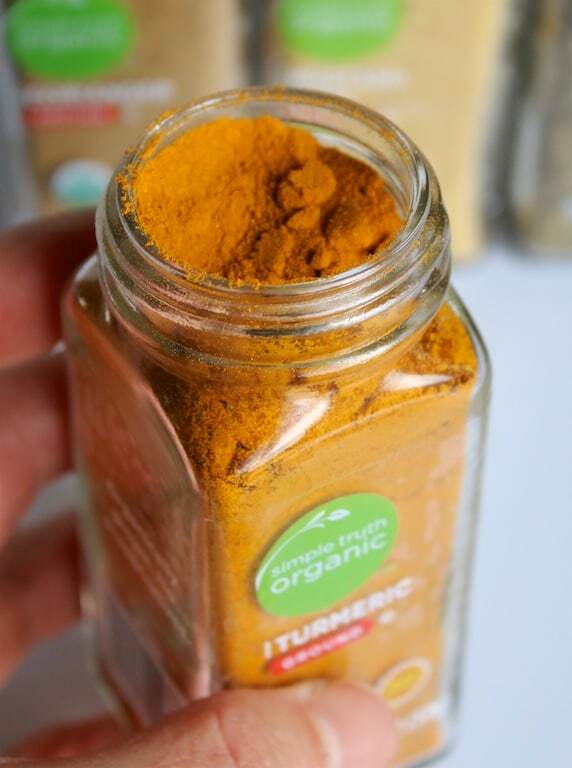 Add the walnuts, ground flax, oats, coriander, mustard seed, Italian seasoning, turmeric, sea salt, and black pepper to the lentils. Turn on the food processor and run on high until ingredients are combined, stopping to scrape down the sides of the bowl if necessary. Transfer the burger mixture into a medium sized mixing bowl and use your hands to form 8 patties. Bake the patties for 30 minutes on the baking sheet until they are golden brown on top (you can also freeze the uncooked patties to bake at a later date). Serve hot. READ NEXT: HOW TO GROW BROCCOLI SPROUTS (NO DIRT REQUIRED)! Lately I have been thinking about starting to sprout again and I think I will. Love the thought of using them in burgers. Thanks, Judy!!! What do you like to sprout? I am stuck on lentils, but I’d love some more (easy) ideas. 🙂 Have a great day! Carrie et al … of the easiest to sprout in addition to lentils, are: mung, clover, alfalfa, garbanzo. Not sure if I can mention this here but if allowed, I must say that ‘Handy Pantry’ on the web has the best sprouting system I’ve seen. I’ve used mine for the past 10 yrs or so with outstanding results. Easy, Easy, EASY. https://www.handypantry.com/sprouting/3-tray-sprouter. Awesome, thanks Margie! I appreciate the input on other things to sprout, along with the sprouting tray recommendation. Have a great day! Xo. Please explain Carrie – in the recipe you call for 1 cup sprouted and cooked lentils. Do you mean 1 cup of the sprouts BEFORE cooking or 1 cup cooked sprouted lentils. I actually used 3 cups of cooked lentils mixed with about the same ratio to cooked sprouted lentils. I used toasted rolled regular oats in lieu of gluten free and ground them to resemble fine bread crumbs – that was a disaster – made the burgers come out before cooking like a heavy dense like glob… had to keep thinning it with whey and water, whatever. Also ended up adding in some cooked black beans and a bit of rice. Basically just kept tossing stuff in until I got a mixture that was on the moist side and easy to form into patties. When baked however, they came out like dry little disks but made about 18 1/4 lb burgers with my fabulous little burger press. Scrumptious anyway to be sure. 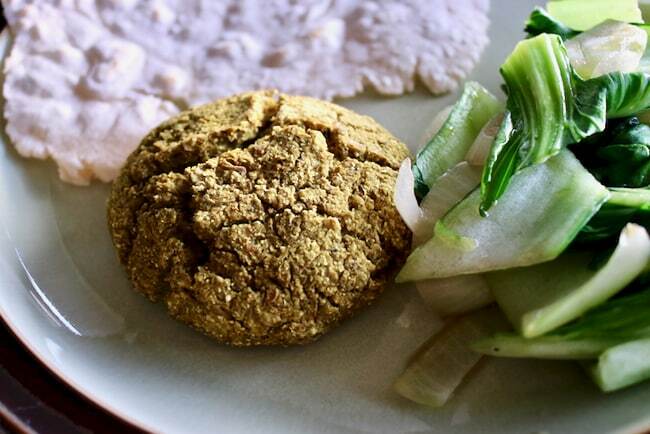 To retain some more of the nutritional value of the lentils, steaming them is another way they may be cooked … or if one’s tummy can handle it, use raw in burgers. They’ll cook while they bake. 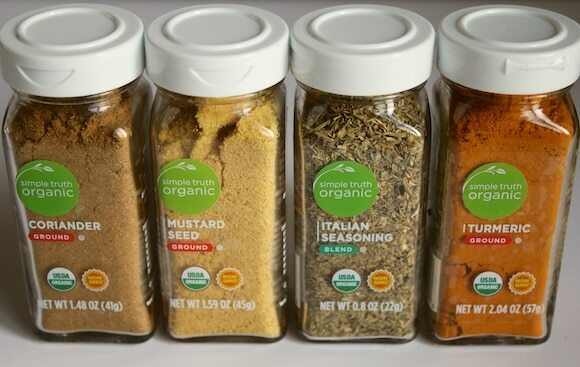 I particularly like the seasonings in these. Thanks for sharing your ideas … love your site. Have a great day. I love your idea to steam the lentils, too, instead of boiling. You’re brilliant, thank you!!! These look yummy, Carrie! I can’t wait to try this recipe. I may leave it raw!… wonder how that would be. 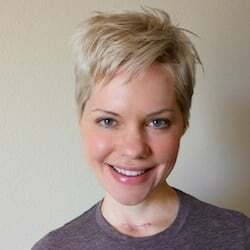 Thanks, Helyn! 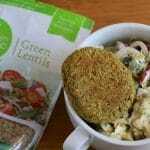 I have heard positive and negative things about eating raw lentil sprouts. I know it is something that many people do, but I think there are many others who can have problems with eating them raw. Let me know if you find out anything in your research or experimentation. XO. These burgers look so good! 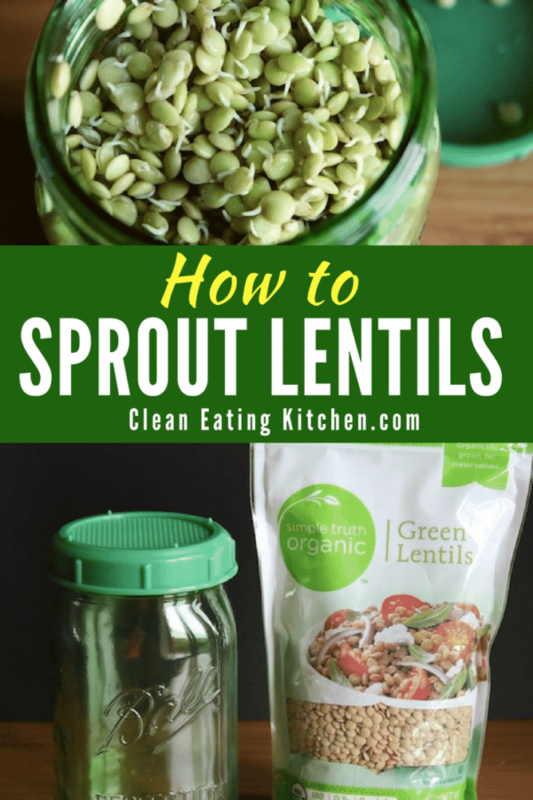 And I really appreciate the tutorial on sprouting lentils. I have sprouted grains before and find it easy enough, but never lentils. It sounds pretty simple. I have seen the sprouted lentils at the store… so expensive! I would love to try sprouting my own. I have been sprouting lentils for years! They are the easiest thing I’ve found to sprout. I sprout them for about 36 hours to use in a cooked lentil stew (no ‘tails’); I like them at about 3 days to use raw on salads or sandwiches. I sometimes go 4 to 5 days when I will use them and stir frys or burgers. (I’m not sure how the nutritional content changes, based on time sprouted. I would be interested to know, if anyone has information. I’ve just gone by taste: longer sprouting = stronger flavor.) Celery, peas, and lentil sprouts–cooked crisp-tender–are one of my favorite combinations! Can be served with or without rice or quinoa. 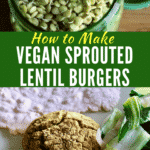 I ‘accidentally ‘ discovered how good the sprouts are in burgers; I add them raw, chopped or lightly food processed, and brown the burgers in a skillet. I love this healthy burger! Thanks Carrie for the recipe! 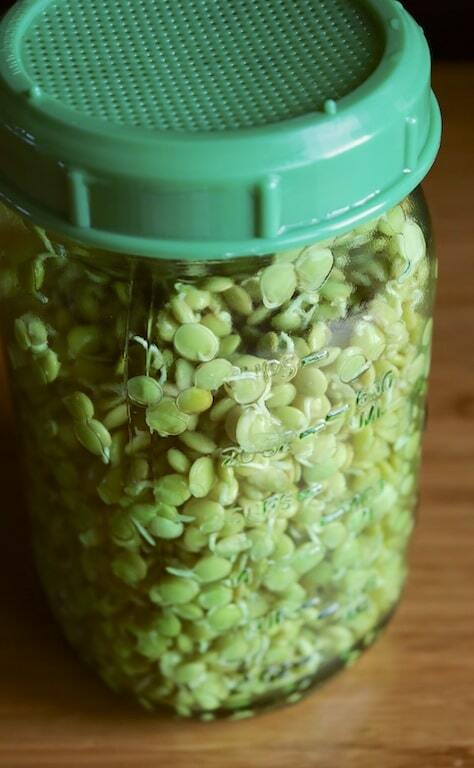 Can I steam the sprouted lentils in a rice cooker, if so how long do you suggest? Hello, I literally followed the recipe by the letter. I used 1 cup of sprouted and cooked lentils. However, I ended up with three small patties, not eight! What did I do wrong? I’m so sorry, Lisa! The recipe was unclear. It should have said that the one cup of lentils is measured dry, before sprouting or cooking. One cup of dry lentils yields about 2 1/2 cups cooked lentils. That’s the difference. Apologies, I have updated the recipe!